54 % of respondents said they were having trouble producing engaging content. Here are MIMO Solutions, we have solved that problem for dozens of B2B marketers. Sure, the obvious answer is you can pay us to create it for you, but let’s talk about how you can do it yourself. First, start by asking yourself, “If I had all my customers and prospects in one room today, what would I most like to tell them?” Usually, the answer is “BUY SOMETHING!” Unfortunately, that message gets old really quick. How can you share your knowledge with your audience and educate your prospects about what you do, how you do it better or differently? Most companies have enough stuff going on to create engaging content. They just forget to post it. 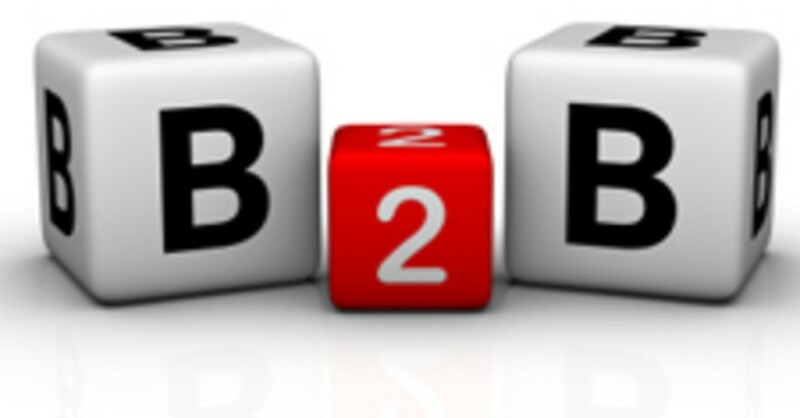 50% of B2B respondents claimed this challenge. I assume most of them don’t know what to say, but there are additional challenges since we covered that in #1. Not enough time and other business priorities are the most common excuses and complaints here. You have to get into the habit of blogging and sharing on social media. It is a learned skill and once you make it a habit, it becomes easier and easier. Start by setting an appointment on your calendar and treat it like it is an appointment with your biggest client. Don’t cancel or move it. It is an appointment with your biggest client, in fact, it is an appointment with all of your clients! Next, use scheduling tools. There are programs like Hootsuite that let you schedule your social media posts in advance, so you can plan out your whole week or month. All good blogging platforms have this as well. You can take a day and write all your posts for the month, or you can write in off hours and schedule them to go live during the business day. Now this one is a little more tricky, and 49% of B2B marketers agree. First, you have to set up the tracking tools, then you have to decide what effective means for your business, and then you actually have to look at the results. Some metrics to consider when looking at your effectiveness include: number of views, number of likes and shares, number of click-thrus, and number of conversions to leads or customers. Most people are looking for new customers, but that is not the end all be all in Internet Marketing. Growing your number of email subscribers could actually increase your sales for years, not just the few days after you post something. Increase your effectiveness by building your email list, not your followers on any other site, or your direct sales. If you get in the inbox, you have endless opportunities to get into the wallet. 42% of people saw this a challenge. Personally, I think this is one of the easiest parts about Internet marketing. Each piece of content can be repurposed into all the other forms of content and reused. For example, each blog you write can include an image for Instagram or Pinterest. You can share that blog post on all your social sites, and then include the post in your email blast. After that, you can collect a series of blog posts for a whitepaper or ebook. You can talk out the subject for a podcast or video for YouTube or make a slide show with more images and share that again on social media or Slideshare. You can even turn the topic into a webinar… All from one really cool subject. Finally, we get one that we can’t do for you at MIMO Solutions. You have to come up with your own budget. Think of it in time, money and resources. What are you willing to invest in your future success. Typically, about 10% of your total revenue is a good marketing budget, but it varies by industry and profit margin. 41% of B2B marketers cited this one as a challenge. I am guessing it is because in large companies the marketers are not setting their own budget, and who wouldn’t want a blank check? For small business, you save yourself a lot of money by doing things yourself, but you can save a lot of time by hiring us to do it for you. One thing is for sure though, Internet marketing needs to be done. People don’t have the time or attention span to window shop or research in person anymore. The majority of your buyers are doing that online. Start with a small budget and move your way up. Effective marketing should get a healthy return on investment so you can reinvest or grow your budget as you figure out what works. Try small promoted posts on Facebook or LinkedIn for $40. Try $100 in Google pay-per-click Adwords. Invest a small amount in monthly search engine optimization, email blasts, or blogging and see what works for you before you go all in. 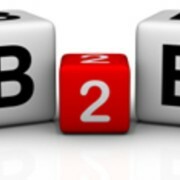 There are lots of challenges in B2B marketing online. Skill gaps, finding team members to help, lack of an integrated marketing plan, lack of buy-in from ownership or management, and other technology related challenges can be tough. However, there are still endless opportunities for success online. I won’t kid you with the pipedream of viral videos and Billion dollar acquisitions, but think about your competition for second. You only have to be a little better than them to get that #1 ranking and a lot more leads from your Internet marketing.